Pediatric Intensive Care Unit, CHU Sainte-Justine, Université de Montréal, Montréal, Québec, Canada. Department of Pediatric Cardiovascular Surgery, CHU Sainte-Justine, Université de Montréal, Montréal, Quebec, Canada. Flow chart. 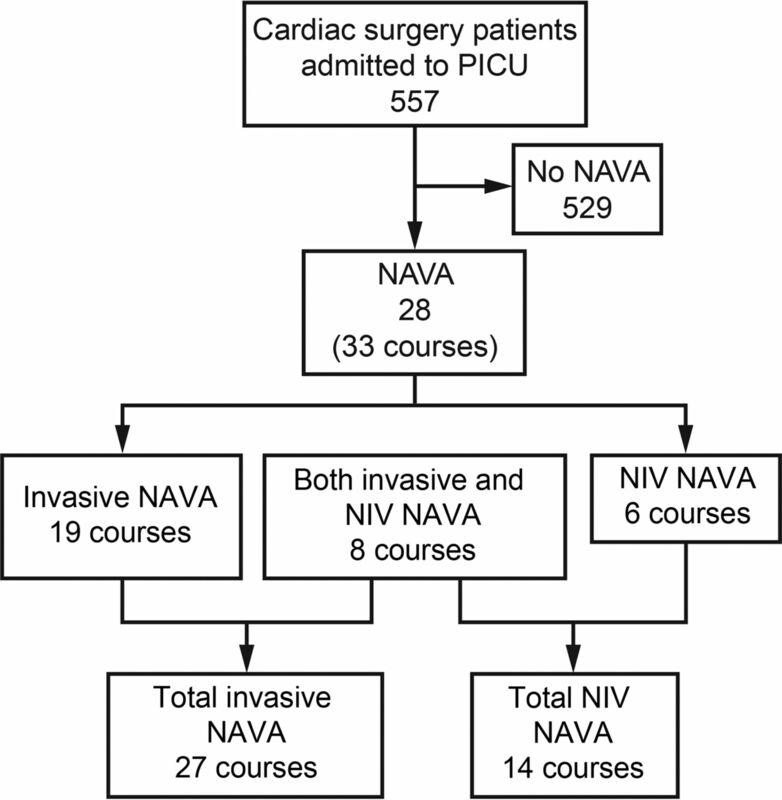 PICU = pediatric intensive care unit, NAVA = neurally adjusted ventilatory assist, NIV = noninvasive ventilation. 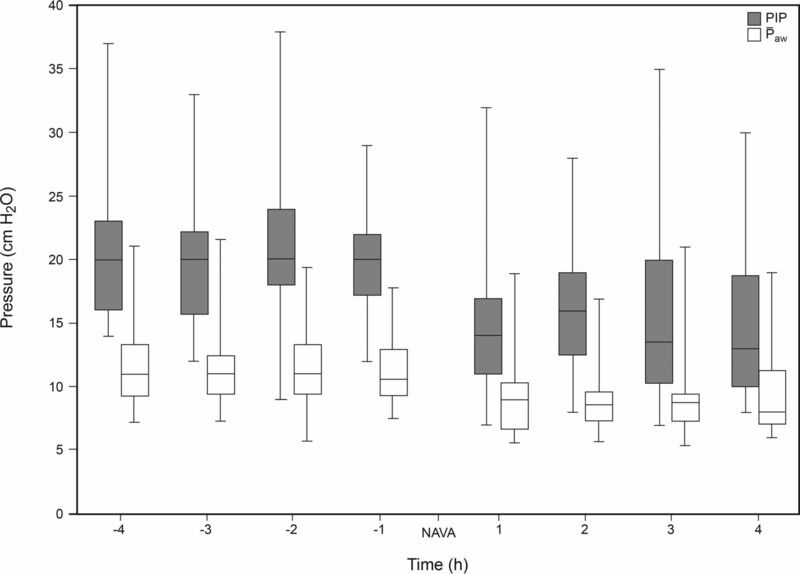 Evolution of peak inspiratory pressure (PIP) and mean airway pressure (̄Paw) in the 4 h preceding and following the start of neurally adjusted ventilatory assist (NAVA). Box plots illustrate the median values, interquartile range, and spread. Evolution of peak inspiratory pressure (PIP) in the 4 h preceding and following the start of neurally adjusted ventilatory assist (NAVA) depending on the timing of NAVA initiation (before or after 72 h postadmission, A) or the presence of risk of right ventricular failure or low pulmonary flow (B). Data are presented as median with interquartile ranges.